It is not just surfers who appreciate the vast, blue ocean. Surfers will love seeing their favorite sport represented on the floor of their bedrooms, but anyone can appreciate the cool scenes surfer rugs bring to the room. 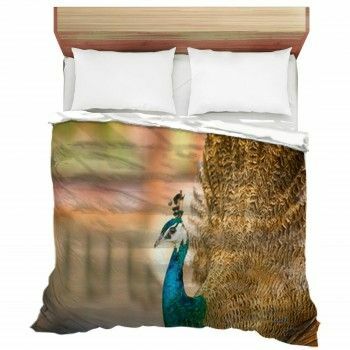 Whether it is colorful and abstract or a photographic print of a blue crashing wave, there is no doubt that these decorations are the perfect finishing touch to a beach home or bedroom. The ocean is an amazing part of our planet in terms of size, depth, and beauty. Sometimes, waves are so tall, clear, and perfectly curled that they are simply fascinating to look at. Even if a person is not particularly into surfing, looking at the waves is something everyone likes to do. 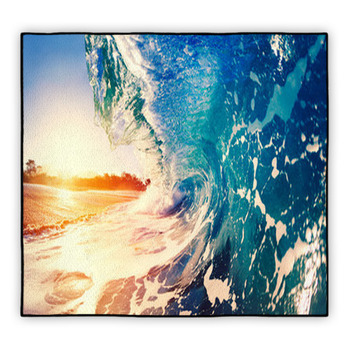 For homes by the beach or even just beach themed houses, area rugs with photographs of crashing waves are unique and essential to the theme. Photographic prints are not everyone's cup of tea, though. Sometimes surfers just want to show off their love for the sport. 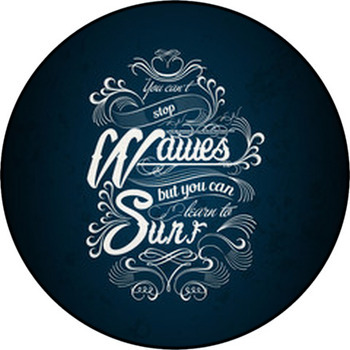 For this reason, there are graphic designed images of surfboards leaning against cartoon waves. Incorporating beachy colors like orange, yellow, and blue, these surfer rugs are the perfect touch to a surfer's bedroom or the beach-themed home. 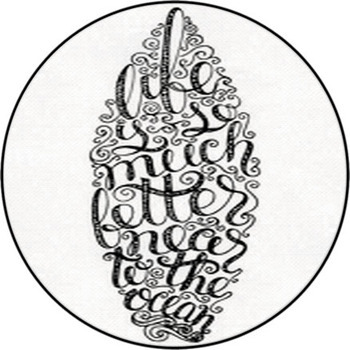 Perhaps the surf enthusiast just wants a decoration to which he can relate -- and who doesn't? 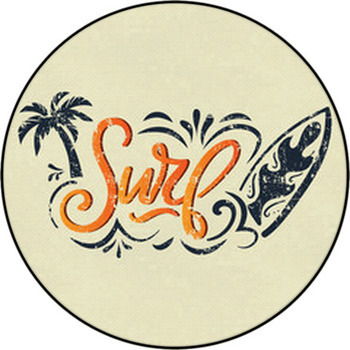 Some of the designs of surfer rugs focus primarily on the surfer himself performing various beach activities. 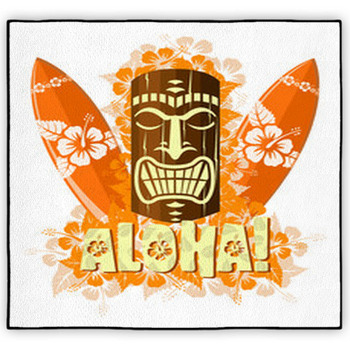 Pictures of surf-dude silhouettes leaning against their colorful boards or close-ups of athletes tearing up waves are perfect for the teenage athlete's bedroom. 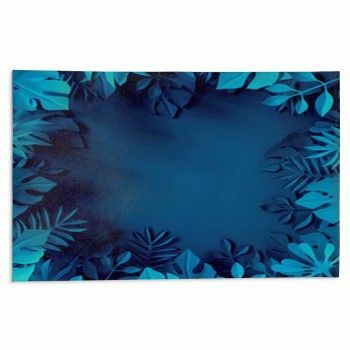 Contemporary surf themed rugs, which focus more on the idea of the beach than on the surfer himself, are a very versatile option for the living area of a beach house. 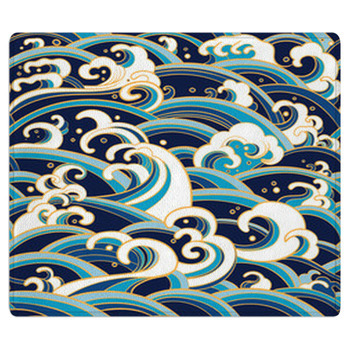 There are designs which depict huge waves crashing on the shore, reminiscent of your favorite place. Palm trees and colorful sunshine bring a bit of color to these decorations and brighten up the room -- the way a beach house should feel! Living on or near a beach for most people becomes a complete way of life. That is why many beachgoers choose to make it the theme of their homes -- so they can be surrounded by what they love. 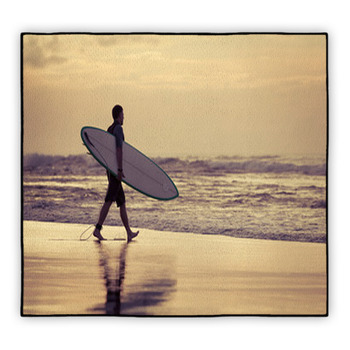 Surfer rugs are a great way for surfers and beach lovers alike to express themselves, whether it is through the actual act of the sport, or just by admiring the beautiful shore scenery.